India is an agricultural country. About seventy percent of our population depends on agriculture. One-third of our National income comes from agriculture. As India stares at the fourth consecutive drought year, the prospect of a negative growth in food grain production seems real for 2015-16. Agriculture economist Dr.Ashok Gulati says this is the first time in over 100 years that India faces four back-to-back drought years. The majority of farmers are poor, even though food prices are rising alongside demand. Despite many efforts and the new Food Security Bill, the problem remains largely unsolved. 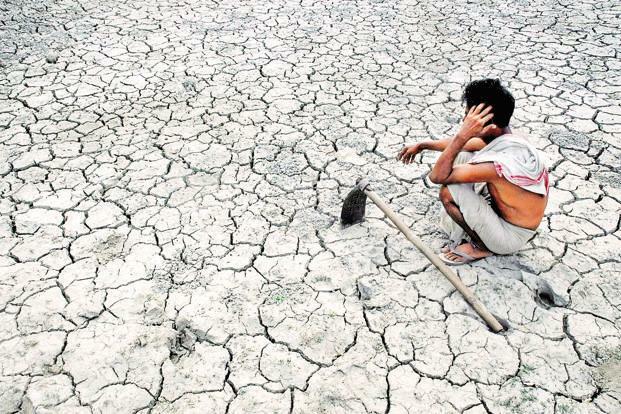 Data with the agriculture department shows that in 2015, two-thirds of the 1.37crore farmers in the state of Maharashtra have been affected by the drought mainly in the Marathwada and Vidarbha regions. That is nearly 90 lakh farmers in Maharashtra alone. According to the state's revenue department figures, the farmer suicide count in the six-month span from January to June this year stood at 1,300 cases. Nana Patekar a well known Bollywood actor, is known for his fine acting skills irrespective of what role he plays. Apart from acting, Nana Patekar is also known for his various humanitarian activities. Nana Patekar along with Makarand Anaspure extended a helping hand towards 62 farmer families, helping the kin of the deceased farmers in Vidharba region of Maharashtra. Socially active Patekar has also initiated conversation with families and made himself accessible to them, “If you ever think of committing suicide, please give me a call first,” said Patekar. We should really salute to this real life hero! Actor Nana Patekar has established an organisation ‘Naam Foundation’ which will provide aid to farmers overcome by drought conditions. According to ABP Majha, several offered donations for the cause. In fact, there was a flood of contributions after the officials realised. The 'Naam Foundation' has now been set up for donating money to drought affected farmers. It is the brainchild of Nana Patekar and fellow Marathi actor Makrand Anaspure. A bank account has also been opened with State Bank of India where people can deposit money for the cause. The account number, IFSC code and RIFT code have been provided. Patekar announced that the money collected by Naam Foundation would also be used to provide gainful employment to youth in villages facing drought. You can also generously contribute for this humanitarian cause. The farmers who feed us at the cost of their family, certainly our duty is to support and help financially so that they can come out from this drought situation. There is also many initiatives from the Maharashtra state government to help these farmers in this drought situation. In July this year, on his birthday, Mr Fadnavis urged citizens to financially help his government resolve the drought situation in Maharashtra. From villagers to farmers to government employees to Bollywood superstar Akshay Kumar to cricketer Ajinkya Rahane to spiritual guru Sri Sri Ravishankar; all have actively helped - it has been an enthusiastic surge of contributions. A whopping Rs. 400 crores - that's how much Chief Minister Devendra Fadnavis' office said people have willingly donated to the Maharashtra government's ambitious project Jalyukt Shivar Abhiyan to make the 25,000 villages in the state drought-free by 2019. In an emotional act of an 8 year old Nagpur resident Rashika Joshi, donated all her piggy bank savings to Maharashtra chief minister, Devendra Fadnavis, to help the families of deceased farmers! The CM was pleased with the little girl's gesture and has decided to make sure the donation reaches the farmers no matter how small the amount is. Most of the time, we think climate change, droughts, farmer suicides, less rainfall, water shortage are all issues that don't really affect us. We have our jobs to rush to, family and friends to meet, good food on our table, good schools to send our children, beautiful vacations. We think we are the lucky ones, leading the good life; and, who can deny it, certainly it is a good life, safe and secure from the harsh realities of lives around us.